Every year, large commercial trucks, including semis and big rigs, are involved in thousands of vehicle accidents, leaving victims severely injured due to the violent and destructive nature of such accidents. Trucks are larger and heavier than almost every other vehicle on the road. As such, when another car, like a small passenger vehicle, is involved in an accident with a truck, those in the passenger vehicle can suffer catastrophic and fatal injuries. Frequently, a truck and its driver will suffer little damage from the accident due to the large size and heavy-weight of the vehicle. Because of the dangerous nature of tractor trailers, truck drivers and trucking companies must obey strict regulations on their operation of the vehicle, length of time behind the wheel, and maintenance. These measures were created to prevent accidents that occur due to fatigue, negligence, and improper upkeep of the vehicle and its cargo. However, many drivers and companies choose to disobey these rules, putting other drivers at risk for a devastating accident. At A1 Accident Lawyer, our Anaheim personal injury lawyers have seen the devastation of big rig crashes firsthand. If you or a loved one has been hurt in a crash, we know that you are facing an uphill battle in your recovery. But know that you are not alone and that you have the right to hold at-fault truck drivers and trucking companies responsible for the harm they have inflicted on you. To learn more about your rights, call A1 Accident Lawyer at (714) 535-5090 for a no-cost consultation informing you of your legal options and how we can help you. Below you can find more information on your crash and its effects. Any car accident on the road can lead to serious injuries and even death under the worst circumstances. But crashes involving semi trucks are far more likely to result in tragedy. Big rigs weigh thousands of pounds more than almost every other type of vehicle out on the road. As such, any collision will result in the smaller car and its passengers taking far more damage than the truck and its driver. There are also many different factors affecting the safety of a tractor trailer. The cargo that is being carried by a tractor trailer can be just as dangerous as the vehicle itself. Crashes can cause the load being carried to spill across the road, causing more hazards and crashes. If the cargo was improperly loaded or overloaded, it may cause the driver to lose control or spill out onto the road, even if there has not been a crash. Jackknife accidents are also an extremely dangerous incident that only trucks can experience. Should the driver lose control of the trailer (either due to reckless actions or a defective part breaking down), then it can swing around, smashing cars in the way and blocking the entire road. In even worse cases, a trailer may detach from the cab and barrel down a road by itself until it rams into something big enough to stop it. Semi trucks are a vital part of the economy and daily business, but the dangers they present on the road are not to be excused. Why do Truck Drivers Act so Recklessly? In the event of a truck accident, victims have the right to hold the at-fault party liable and seek compensation for all injuries and financial losses that resulted. But who is responsible? However, it may be that more than one group is responsible. In these cases, they are both liable for the losses that are found to have directly resulted from their role in the crash. 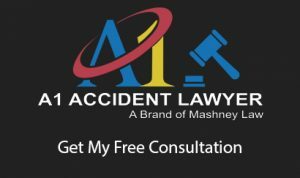 How Can an Anaheim Truck Accident Lawyer Help me with my Claim? Filing a claim, collecting evidence of a crash, proving fault, and gaining fair compensation are the major aspects of every California truck crash case. However, each of these factors can be exceedingly challenging for someone without any legal experience. By finding a skilled and experienced lawyer, you can have someone who will craft your case while you focus on recovering from injuries. At A1 Accident Lawyer, our team of Anaheim accident attorneys has helped numerous victims recover from their severe losses by holding truckers and trucking companies responsible for the accidents they cause. To find out more about your potential case and how we may be able to help you, call (714) 535-5090 for a no-cost consultation.